There is a lot of confusion amongst mothers regarding weaning or complementary feeding. A lot of overzealous mothers tend to start introducing solids to their babies as early as two to three months. This is often due to ignorance or parental pressure at home, in the quest to have a “healthy” baby. What is forgotten in the deal is that the infant’s gut is not mature to digest the proteins at that tender age. There is also the fear of contamination and infection due to unhygienic preparation. Over Dilution of weaning food may lead to malnutrition and late weaning may lead to growth faltering and malnutrition. So the question arises, as to what is the “appropriate” time for weaning. By four to six months of age, the baby is able to control its head. It starts enjoying mouthing because the hand mouth coordination has developed by this age. The gums harden prior to tooth eruption, hence the baby enjoys biting at objects. This is also the time when the intestinal enzymes mature and the baby’s tummy is ready to accept proteins other than that present in breast milk. Hence, the baby is “biologically ready” to accept solids by four to six months of age. It is a good practice to start one cereal at a time which could be rice,wheat or ragi. This could later be stepped up by combining cereals with pulses like dal. As time progresses, gradually introduce tubers, fruits, biscuits, banana powder which are very popular weaning foods. The addition of jaggery will increase calories and minerals. Milk added to the preparation will add proteins and adding oil, like coconut oil, is a good source of calories for optimum weight gain and brain growth. By six to nine months of age,it is a good idea to introduce mashed items from the family pot enriched with jaggery or sugar and oil or ghee. Egg yolk initially followed by white is a source of optimum protein.It must be kept in mind that some infants could be allergic to egg white. After nine months, soft food, that can be chewed should be introduced. For instance chapatis or other hard items could be softened by adding milk. By one year of age, the baby should ideally be eating everything cooked at home which is the concept of family pot feeding. As a rule of thumb,ideally by one year, a child should eat at least half of what the mother eats. Whatever be the food, it should be locally available, cheap and acceptable. It is a good idea to introduce one new food every week. Every child has its own temperament to food.With experience, every mother definitely knows what suits her child’s palate. Meal times need to be regularized so that the baby is ready for every meal.It is imperative to make this time enjoyable for the baby, by involving in play activities with spoons and glasses. Talking with the child, praising every new milestone like holding a spoon, feeding with a glass, eating from the plate, boosts the self-esteem of the child and successful weaning practice.The golden rule here is that breastfeeding should continue ideally at least until twelve to fifteen months of age. 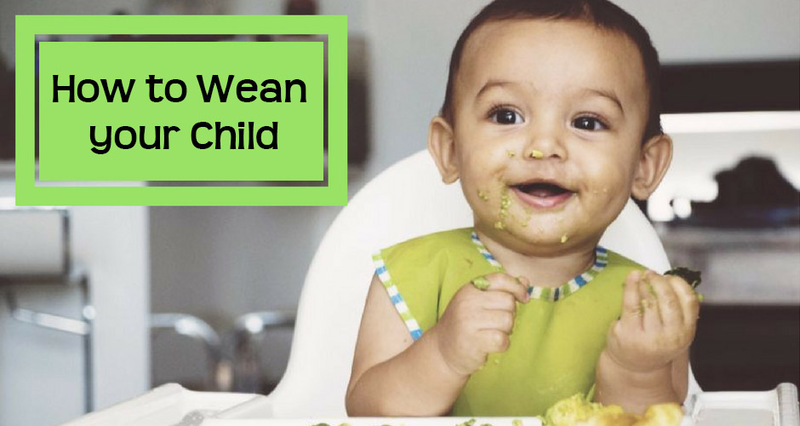 With patience and involvement of both the parents, weaning can be made an enjoyable and fruitful milestone in every child’s life.